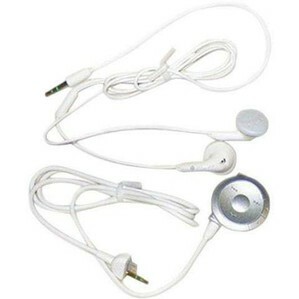 The cord comes in two pieces, which it makes it compatible with not only the Sony PSP-140 but with other headphones. This means that the remote control can manipulate any headset with a 3.5mm port, not just the PSP-140. The ear buds do not come with foam cushioning. Because it’s hard plastic, some people might find it uncomfortable to wear for long periods of time. The sound isn’t extraordinary, either. With average sound at best, the remote control that comes with the PSP-140 is clearly the best feature of the headset. Not only does it give you hands-free control, but you can also use the remote control to operate any other headset that fits into the port. With average sound at best, the remote control that comes with the PSP-140 is clearly the best feature of the headset. The Sony PSP-140 is a helpful addition to the PSP (PlayStation Portable). The inner-ear headphones enhance the audio and video experience by providing convenience for the user. With the remote control, the user can play, pause, hold, fast-forward, fast-reverse and control the volume without ever having to touch the PSP.